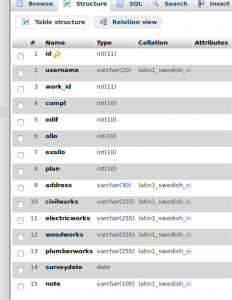 In this article I explain how to install LAMP (Apache, MySQL, and PHP) on Ubuntu and implement some PHP scripts to insert records into the database from an iOS app. We need a server for our database, we will use a Linux Ubuntu host. This is a cheap, but flexible option. We shall assume to store more types of data in the database: integer, string and date. Change “localhost” with IP address of the database host. 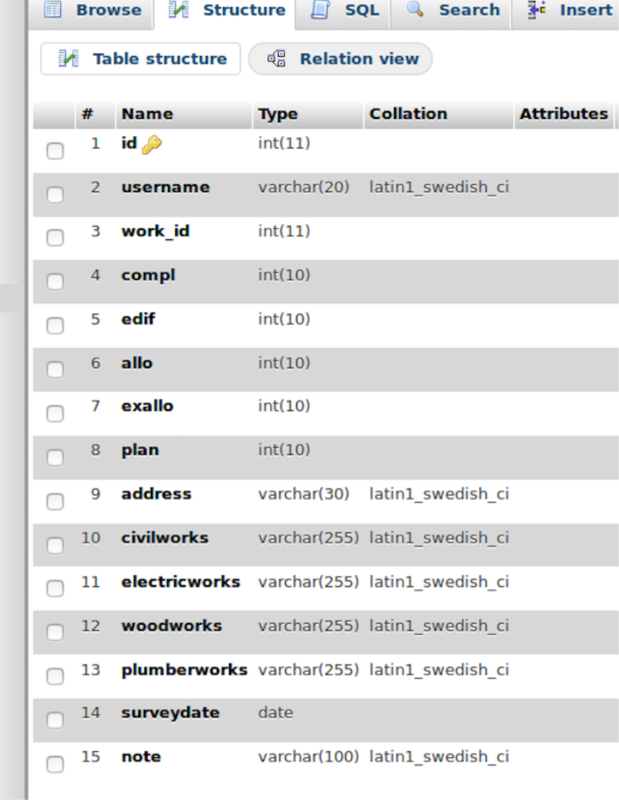 Now the thing we need is the database, so we create it with phpmyadmin. Go to phpmyadmin (http://localhost/phpmyadmin) and create a new database. Create a database named sheetsdb, and add a table with the name workdata. Set the id field as primary key, with AUTO_INCREMENT property. Now we have our database. We will store the values in this table. We can use notepad, or a text editor, or a programming IDE. We assume to use geany, available as Ubuntu package. In the htdocs folder we create an etc folder, and a bin folder. Inside directory etc create a file named Params.php and write the following code. Now in the same directory (etc) again create a new file named DatabaseConnect.php and write the following lines of code to create the database connection. We need a file for the database operations, so we can create a file named DbInsert.php and write the following code with the editor. Now inside bin folder create a file named CreateRec.php and write the following code. This file will actually insert the values to database. Our web service is ready for the use. We should first test the web service we created, for example for testing we can use Google REST Client for the Mozilla browser. As you can see below we have successfully inserted a record in the database, writing in the body section the field values concatenated by the & symbol, and executing the php program pressing the red button. Note that the date format in the body must be in the format yyyy-MM-dd. In the next tutorial we shall send the http post request to the URL from an iOS app.